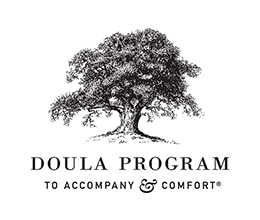 Hundreds of individuals facing the end of life are less alone as a result of a relationship with a Doula Volunteer. The Doula Program does not receive government funding and relies on your tax deductible donations. Our services are cost free to those who are facing the end of their lives alone. There is a growing need for the special relationship that only Doula Volunteers can provide. Our individual funders, family foundations and grants support our continuing efforts to lessen the loneliness of illness faced by so many. Become a sustaining supporter: Pledge a monthly contribution of $10, $20, $30, or $40 or other amount. You will be ensuring that someone is not facing the end of life alone. Donate Online. Join a task force: one time or ongoing time commitments. A. Business Task Force B. Events Committe C. Public Relations & Marketing D. Fundraising/Development. Contact Amy Levine at alevine@doulaprogram.org or 212-706-0398 x1. Expertise: one time or ongoing time commitments: A. Printing & Graphic Design B. Public Relations & Media C. IT Support/Database. Contact Amy Levine at alevine@doulaprogram.org or 212-706-0398 x1. Sponsorship, corporate or private donation inquiries. Contact Amy Levine at alevine@doulaprogram.org or 212-706-0398 x1. We welcome your involvement — contact us to learn more about volunteer opportunities. Please contact Amy Levine 212-706-0398 x1. Mark Singer & Darcy Dunn "The Funny Valentines"
Special thanks to our Doula Volunteers and Community Volunteers for their support, time, expertise and commitment. We are here because of you.